Become a Take 5 Franchise Owner. 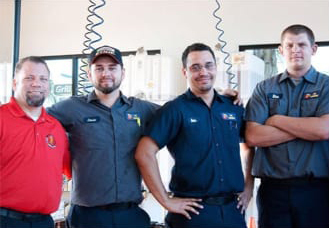 We are Take 5, and we are proud to be the industry disruptor and automotive franchise to own. 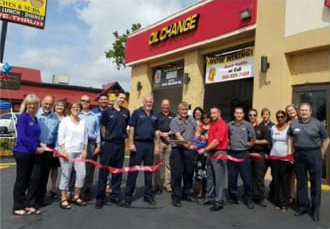 We took inspiration from the hospitality industry to transform the mundane task of getting an oil change into an enjoyable customer-focused experience. 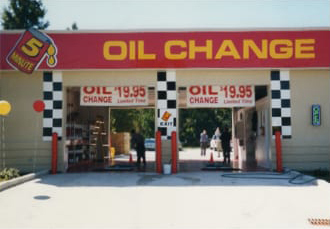 Our revolutionary drive-through oil change services can be found in over 300 locations in 13 states. As we continue to expand our brand, our immediate focus is to grow our brand presence through franchising in the Southeast United States. Customers love what we do. 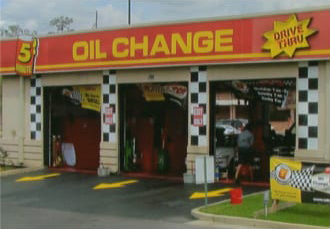 Take 5 begins as a traditional oil change shop in Metairie, LA, eventually growing to three shops in the area. 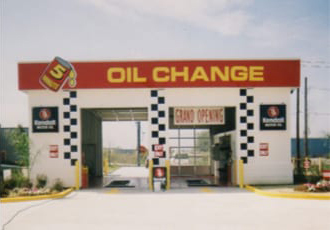 Take 5 revolutionizes our business model to create the first stay-in-your-car oil change. 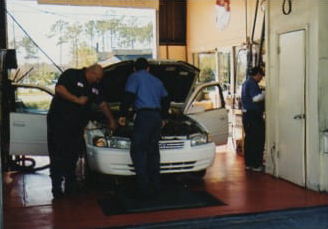 The shops featured shallow pits, drive through oil changes, synchronized oil changes and fast, friendly service. 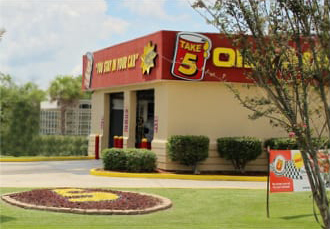 Take 5 grows to fifteen stores, all featuring the drive-thru model. Hurricane Katrina wreaks havoc on Louisiana with the majority of Take 5 employees displaced during the disaster. Take 5 stands the test of time, with customers and employees staying loyal to the brand. Take 5 grows to 21 stores. Take 5’s founder, Monty Montgomery, sells the business to the first private equity sponsor. Roark Capital acquires our parent company, Driven Brands. Take 5 grows to 70 stores. Driven Brands acquires Take 5. 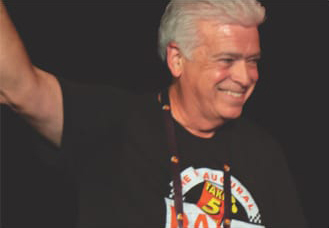 Pete Frey, former Take 5 President, knows better than anyone the strength of the Take 5 brand. So he became one of our first Franchise Owners. He owns and operates locations in the New Orleans DMA. This is your chance to make history with Take 5. Own a Take 5 franchise. Please complete the form, and a Take 5 Franchise Director will contact you. *The sales and EBITDA information stated herein is based on 2017 actual sales, financial and operational performance information of Take 5 Centers that have been open and operating for two years or more. Historic financial performance is not a guarantee of future results. Individual results may vary. For more information, please see Item 19 of the Take 5 Franchise Disclosure Document. The information is not intended as an offer to buy or sell a business. This information is provided for informational purposes only. Any offer to enter into a business arrangement shall be by a prospectus as required by law, if any. A new franchisee’s results may differ from the represented performance. There is no assurance that you will meet or exceed the financial performance information stated herein, and you must assume that risk.